What Uses the Most Electricity in a House? Every homeowner wants a lower electric bill, but finding a good starting point can be difficult. Each property is unique, and energy efficiency measures that are effective in one household may have little effect in another. Normally, appliances use the most electricity in a house. Before purchasing upgrades for your appliances, make sure you have a plan. 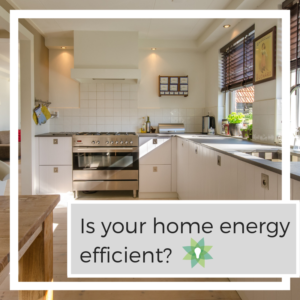 Ideally, you should start with the energy efficiency measures that yield the highest savings per dollar spent upfront. A professional energy consultant can inspect or audit your home to identify the best upgrades. When trying to save electricity, we tend to focus on devices that are very visible and used all the time, especially lighting fixtures and electronic gadgets. However, these devices do not represent the bulk of electricity consumption. Use air conditioners with a high energy efficiency rating. Make sure the unit has the right capacity, according to the cooling load in the area served. Make sure the thermostat in set properly, or even better – get a smart thermostat. Old refrigerators use a lot of electricity, especially if they have air leaks or damaged insulation. By upgrading to a newer model with an ENERGY STAR label, you can easily reduce refrigeration costs by over 70%. British Thermal Units per Hour, or BTU/h. One BTU is the amount of heat removed from one pound of water to reduce its temperature by 1°F. Tons of refrigeration (TR). One TR is the cooling effect obtained from melting one ton of ice at 0°C over a 24-hour period. Just like 1 mile is equivalent to 1.609 km, one TR is equivalent to 12,000 BTU/h. An air conditioner for a small room will typically have a capacity of one TR or less, while a central unit for a household will be in the range of 5 to 10 TR. On the other hand, a chiller for a large commercial building will likely have a capacity of a few hundred TR. These units describe the cooling output of air conditioners, but what matters in terms of cost is the electricity input. Just like cars have the gas mileage value (MPG), air conditioners have a energy efficiency ratio (EER). The EER is the ratio of cooling output (BTU/hour) and electricity input (watts). Just like a high MPG value indicates that a car uses less fuel, a high EER indicates that an air conditioner uses less electricity. Manufacturers often provide the average EER over the entire cooling season, and in this case it is called the seasonal energy efficiency ratio (SEER). Note that all three units have the same cooling output. However, the EER 20 unit consumes 35% less power than the EER 13 unit, and the EER 25 unit consumes 48% less. To visualize these differences in dollars, let’s compare the operating cost if the three AC units are used 8 hours per day, in a 30-day month like June (240 hours in total). An electricity price of 11 cents/kWh is assumed, which is common for Texas. Water and space heating also use a lot of energy, but these appliances normally operate with natural gas. Since only some of their components run with electricity, they have a minimal effect on your power bills. On the other hand, if you have electrical heating systems, they can consume even more power than air conditioners. That is, unless you have a high-efficiency heat pump, which is capable of matching the operating cost of gas heaters. Are You Using Efficient Lighting? Incandescent and halogen bulbs are very inefficient, and their operating cost is high. Fluorescent bulbs have decent efficiency, typically consuming 75% less power than incandescent lighting. LED bulbs offer top efficiency, capable of reducing lighting consumption by over 80%. High-intensity discharge (HID) lighting is a mixed bag, since there are many subtypes. Metal halide bulbs are just slightly more efficient than incandescent bulbs, while sodium vapor lamps have an efficiency comparable with LED, but poor lighting quality. LED lighting upgrades are among the most frequently recommended energy efficiency measures, and for several reasons: they are simple, affordable and fast, while having a quick payback period. Adequate amount of lighting (lumens). Compatible power source: Some LED lamps need an internal rewiring of the lighting fixture before installation. To get the best results with a lighting upgrade, a professional opinion is strongly recommended. Also make sure you purchase lamps with the ENERGY STAR label, which guarantees energy efficiency and high performance. Air conditioning and lighting represent the two highest expenses in most electricity bills, but there are several other devices with a significant energy footprint. Old refrigerator models can demand a lot of power, as mentioned above, especially if their maintenance has been deficient. Coffeemakers can waste a lot of power if homeowners have the habit of leaving them on for long hours. In general, any heating appliance that runs with electricity should be used with moderation. Pumping systems can consume a lot of electricity if they are configured incorrectly or damaged. Pay attention to pumps that start running repeatedly with no apparent reason, since this behavior is not normal and very wasteful. The total power consumption is 60 watts. With 720 hours of use (30 days), the total energy consumption is 43.2 kWh. At 11 cents/kWh, this represents less than $5. Although you can save this cash by unplugging all devices that are not being used, the monetary reward is very small. If you are willing to assume this task in spite of the low savings, consider using power strips to disconnect many devices at once. Air conditioning The highest energy consumption among all home devices. Upgrade to a high-efficiency model and use with moderation. Heating appliances (boiler, furnace, water heater, etc.) Minimal electricity consumption if they run with natural gas. High consumption if they use electricity to produce heat. Consider a high-efficiency heat pump if you want to avoid using gas. Pumping appliances Electricity consumption is moderate during normal operation, but it can become much higher when the pump is malfunctioning. Refrigerator Electricity consumption can range from moderate if the unit is modern and efficient, to very high if the unit is old and poorly serviced. Lighting Consumption is determined by the lamp type – LED lighting offers high efficiency and a long service life. Electronic devices Minimal power consumption, and unplugging them when not in use may not be worth the effort. Motor-driven devices (fans, washing machines, etc.) Moderate consumption under normal conditions, but it can increase when there is a malfunction. Keep in mind that every home is unique, and many properties have newer appliances that consume less electricity. Usage habits also play a role, and a device that consumes little electricity in one household may be among the top consumers in another one. The recommendations in this article are general and they apply in many cases, but make sure you get a professional energy audit before any purchase decision. Learn more about Quick Electricity and how we can help to lower your home energy bill.